All artwork reproduced on this web site is the copyright of Richard Evans who reserves all his rights. Any use of these images, including reproduction, modification, distribution or transmission is strictly forbidden. If your use of an image from this website is covered by Fair Use, I would appreciate it if you would correctly attribute me and my website and drop me a line to let me know – I can probably share a link in return. 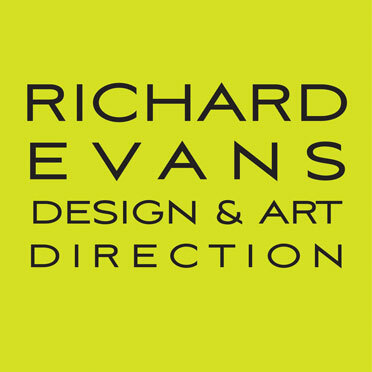 The design of the site, including all graphics, structure and text is the property of Richard Evans and all rights are reserved. The price of limited edition prints increases as the edition sells out. I reserve the right to increase the advertised price of the artwork and the paper type the prints are made on without notice. The price of the artwork will be in force from the date of publication on the website. VAT is included on all UK sales. UK customers who are registered for VAT are able to reclaim 100% of the VAT charged through their VAT return process. Payment made to the UK in other currencies will be converted to pounds sterling at the exchange rate current on the day of the transaction. All payments are made via PayPal whether you have a PayPal account or not. If you do not have a PayPal account you can still pay with your credit or debit card via the PayPal links. Payment made to the UK in other currencies will be converted to pounds sterling at the current exchange rate. I take great care to ensure that the prints are delivered to you in perfect condition, so please do not accept delivery if there is obvious damage to the packaging. If you sign for the goods you are accepting delivery in perfect condition and the shipping agent cannot be held responsible for any damage. If for any reason you are not happy with your purchase, you may return it for full refund of the cost of the artwork on the following conditions: You must notify us in advance and within seven (7) days that you wish to return the artwork. You can do this by email or by phone. The artwork must be returned in its original packaging and undamaged within seven (7) days of your notification. You accept that the shipping cost to return the print is borne by you and the return shipment must be covered by adequate insurance. Prints are wrapped in acid free tissue, and packed in heavy-duty card tubes. UK orders will be despatched by either Royal Mail First Class post, Special Delivery or by courier. Orders to the rest of the world are despatched by airmail or by international courier. In all cases, the cost of packing and consignment will be added to your order at checkout. Responsibility for the print lies with me until you receive and sign for it* and for this reason I insist on sending items over £150 by insured, sign-for shipping. All of my print shipments require signature upon delivery so please check the condition of the packaging before accepting it. *If you have an agreement in place whereby delivery services are to leave parcels without obtaining a signature, as is often the case in the USA, my instruction for them to obtain a signature will be over-ridden. In these cases responsibility for the print lies with me until it has been recorded as delivered ‘as authorised by’ your agreement.